A Dark Intelligence Has Been Poisoning Carefully Selected Lives. The Con Man : ‘Reverend’ Joe McGill claims he’s a healer, but he’s chosen the wrong man to con. The Psychotic Gangster : Arthur Bewlay has cancer eating away at his face. He’s in no mood to be messed around—either by fake miracle workers or his dead brother Tommy—and he’ll stop at nothing in his desperate desire to live. The Eccentric Recluse : Maryam Clemenceau is just what both McGill and Bewlay need—a real miracle worker with a bona fide gift. But it comes at a considerable cost. The Architect : The sinister link between a Maryam’s Gothic apartment block, and Bewlay’s boarded up, abandoned Victorian pub—buildings that are contaminated with fear and the echoes of old and ominous power. Baby Strange opens with Joe beaten and bound in the back of a car, on his way to an appointment with a cement pit under a Glasgow flyover . . . this is not to be the lowest point of his day. From an unspecified institution where she has been for three years, seventeen year old Mary Sutherland tells her story to a television crew. Through her narrative and letters to her father, who never replies, we learn of a contented life that is turned upside down when her mother dies suddenly and Martin, her father, remarries with indecent haste. He is besotted with the elegant and calculating Tiffany, and Mary becomes marginalized for the twin crimes of being fat and having bad hair. 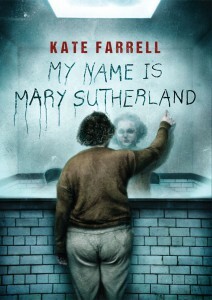 My Name Is Mary Sutherland is a tale of parental neglect, the psychological abuse of a minor, and the terrible price that is ultimately paid. 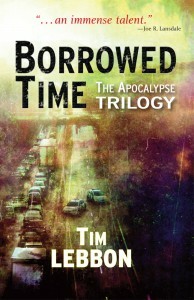 A collection of three novellas that together comprise the Apocalypse Trilogy. Naming of Parts . . . a young Jack and his family flee the zombie plague to find his sister, but it’s not only people who are rising from the dead. Changing of Faces . . . were-creatures attack a beached cruise liner, the one place that Jack dares call home. Shifting of Veils . . .the world has moved on. Mad, murderous wraiths haunt the overgrown towns. And Jack must embark on a final desperate journey to reunite his family. In Ramsey Campbell and the Twenty-First-Century Weird Tale Richard Bleiler argues that Campbell has brought the new century into supernatural fiction. 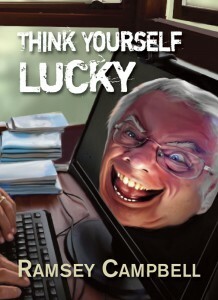 Following The Grin of the Dark and The Seven Days of Cain, Think Yourself Luckyfinds new demons online. But perhaps they are ourselves . . .